Independence is one of the most valued aspects of adulthood. But, as people age, they are not always able to remain independent. That especially applies to the complex task of driving. Modern-day driver assistance and safety technology as been helpful in keeping aging drivers on the road, according to the New York Times. Features like power seats, power windows, auto-dimming mirrors, lane departure warnings, a large instrument panel with brightly lit displays and bigger steering wheels are all beneficial to drivers who might have arthritis or vision problems. However, Jacob Nelson, the director of traffic safety advocacy and research at AAA, warned drivers of all ages about one feature now in most new cars: the backup camera. While great for older adults with flexibility issues and short people like me who can’t see objects directly behind the car, it won’t detect anything in the blind spot. That is, it cannot see people, vehicles or bicycles approaching the car from the side. The camera is meant to supplement, not replace, a driver’s visual checks. You must still check your mirrors, turn your head if possible and proceed with caution. With the exception of dementia or certain conditions like serious visual impairment, “the diagnosis of a medical condition should not determine whether it’s safe for someone to drive,” Mr. Nelson said. “What does matter is how you manage your condition — whether, for example, you have diabetes and keep your blood sugar under control to prevent a blackout.” Manage your health issue properly, and chances are there is a car available that is safe for you to drive. Certain older drivers are now leasing cars, because once the lease is up, then they are free to get a new car with even more advanced safety and assistance options. Safer drivers means safer roads for all of us. China in particular has been extremely aggressive in its push for EVs and environmentally conscious cars. And since it is currently the largest car market in the world, complying with its new and stricter regulations have automakers scrambling to innovate and advance. The Renault-Nissan alliance is expanding its push into China, teaming up with Dongfeng Motor Group Co. on its first locally designed electric vehicle as emissions rules tighten in the world’s largest car market. Renault SA, Nissan Motor Co. and Dongfeng established a joint venture to develop a battery-powered model based on a small sport utility vehicle platform developed by the French-Japanese alliance, the companies said Tuesday. The vehicle is due to hit showrooms in 2019. Not much more is known about the new EV. The Nissan Leaf has been a tough sell in China because it’s too expensive compared to other locally made electric cars. This new alliance between Nissan, Renault, Mitsubishi and Dongfeng could help Nissan get a foothold in this quickly growing market. Don’t get too excited, though, it’s just Domino’s. But hey, when you’re wasted and it’s 7 p.m. and you’re looking for a snack, what have you got to lose? Domino’s and Ford will deliver pizzas to randomly selected customers in the Ann Arbor area in a Ford Fusion Hybrid equipped with self-driving technology. The delivery vehicles initially will be piloted by human drivers. Customers will be able to track the delivery process via GPS and will receive text messages on how to retrieve their pizzas once the delivery vehicle has arrived. Awesome! But how does the pizza get from the curb to the door? And what if that door is at the top floor of an apartment building? This, reports Reuters, is still being ironed out. And there is currently no solution. The cars will stop outside the house and the customer will need to go out to fetch the food. I have an idea. What if we include a little drone in the self-driving delivery vehicle which will fly the pizza to the door once the car pulls up? That seems like it would work. Plagued with scandal and unethical business practices, Uber has also been criticized for its shady customer privacy policies. The company will soon pull yet another feature from its app that violates customer privacy. For months, Mr. Kalanick had pulled a fast one on Apple by directing his employees to help camouflage the ride-hailing app from Apple’s engineers. The reason? So Apple would not find out that Uber had been secretly identifying and tagging iPhones even after its app had been deleted and the devices erased — a fraud detection maneuver that violated Apple’s privacy guidelines. The change, which restores users’ ability to share location data only while using the app, is expected to be announced on Tuesday and rolled out to Apple Inc iPhone users starting this week. It comes as Uber tries to recover from a series of crises culminating in the ouster of Chief Executive Travis Kalanick and other top executives. Dara Khosrowshahi, who the CEO of travel-booking company Expedia, will be the next Uber CEO. This change, as Uber spokespeople told Reuters, has nothing to do with executive shifts. It used to be that Cadillac’s semi-autonomous driving system, Super Cruise, would come as a $2,500 option on CT6 models. Now, Cadillac has said that it’s making slight changes to that plan. The technology will launch in the coming months as standard on the top-end Cadillac CT6 Platinum, which has a starting price without the system of $85,290, including shipping. It will be optional on the Premium Luxury trim. If this doesn’t look like a shot aimed directly at Tesla, then I don’t know what is. 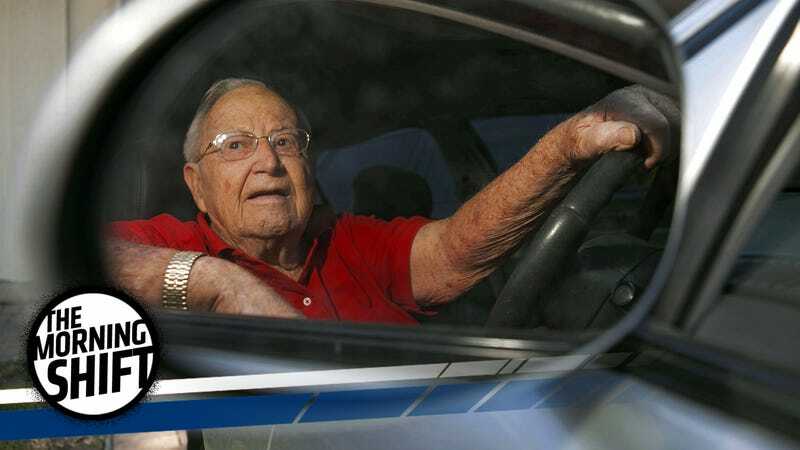 Neutral: We’ve already got tech and safety features to make cars better for aging drivers. What else can we do to keep people driving for longer?